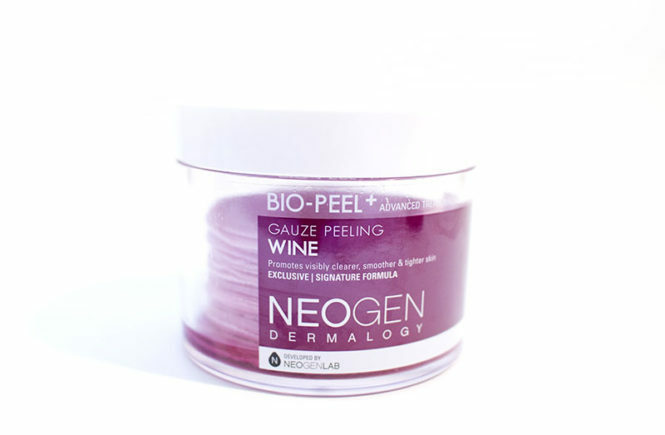 Review: Bio-Peel Gauze Peeling Wine (Neogen) – Oh My Stellar! 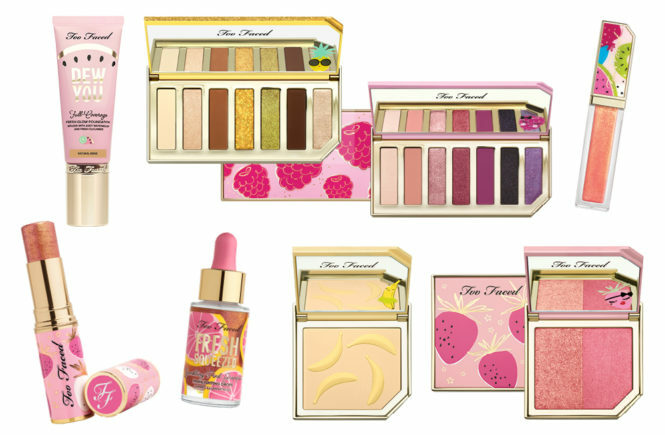 For something with such simple, basic packaging – I am ridiculously in love with it. It reminds me of Dr Jart+ in that it had a very clean, modern and professional style. 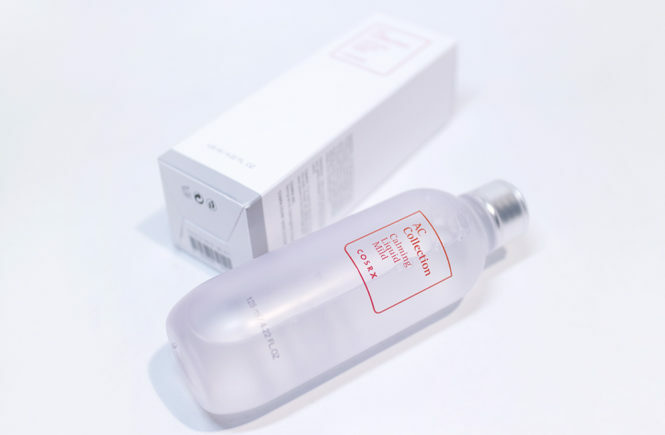 Without even touching the product, this sort of makes me feel like it’s worth the money already and, frankly, this isn’t really a cheap product (it is on sale for 27$USD at StyleKorean) in comparison to a normal face scrub or peeling gel. It’s a pretty big tub to accommodate for the generous size of the pads and, aside from the printed label, has a clear plastic packing. This makes it easy to see how many pads you have left, as well as showing off how incredibly saturated they all are. The tub is made of a really thick and high quality plastic, meaning that it’s very sturdy. The only issue, however, is that it’s pretty heavy when it’s full (350g according to the StyleKorean website) so it’s not exactly travel friendly. You might also encounter issues with the liquid seeping out. I do like the simplicity of the shape though, so it’s easy to stack on the bathroom counter or where ever you would be keeping it. When you open up the tub, there’s a protective seal. I personally recommend only half peeling it off and keeping it in place as it may help in regarding to leakage if you do have to carry it around somewhere (or if it falls on the table). The first impression that I had was – wow, this smells amazing! 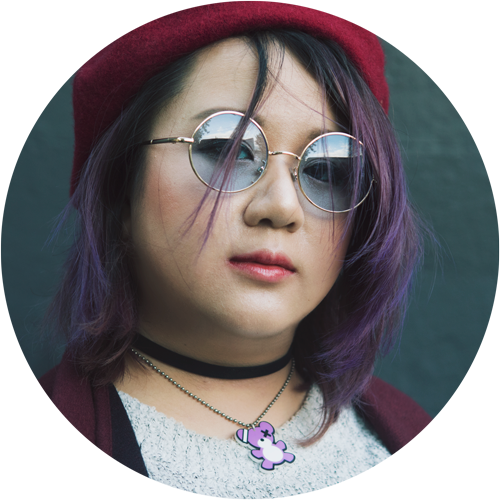 The product smells like grape candies to me, or maybe grape flavoured boba. I know that not everyone would love this scent but I do hope you guys do, because it’s truly great. It is quite strong though, so if you have an unfortunate aversion to grape scents, this might be a deal breaker for you – and in which case you might want to check out the lemon or green tea. So this tub comes with a total of thirty pads and it’s recommended to use this twice weekly, so you’re looking at maybe fifteen weeks worth of it. It’s also gentle enough to use more often than that, or you may use it less if you wish – this is really up to your own customising. Personally, I’ve been using it once or twice a week because I’ve been so all over the place with work and freelancing jobs and I’m seeing more short of effects than long term. 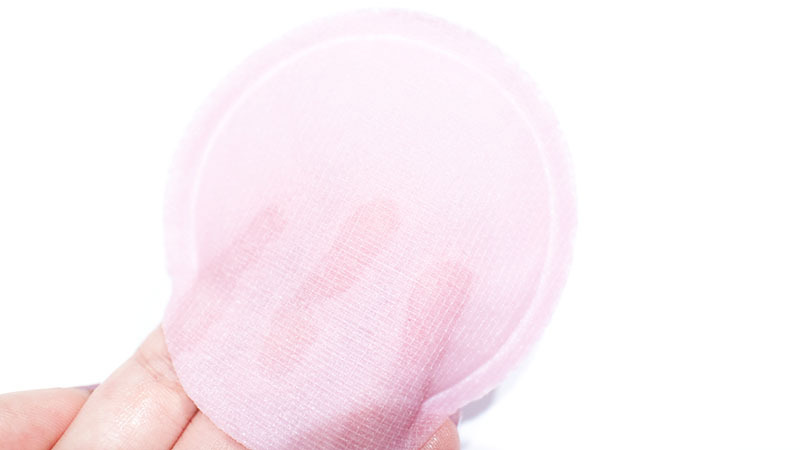 These pads have three layers – a pure cotton mesh gauze pad (the manual exfoliator), the cushion pad (which is included for fit, absorption and comfort) and the embossed pad (which is used to finish off the treatment). The use of cotton is said to be because it is a very gentle material which is also used on baby’s skin, meaning that this would be safe for people with more sensitive skin types – this is for someone who has easily irritated skin, not if you’re allergic to certain ingredients. 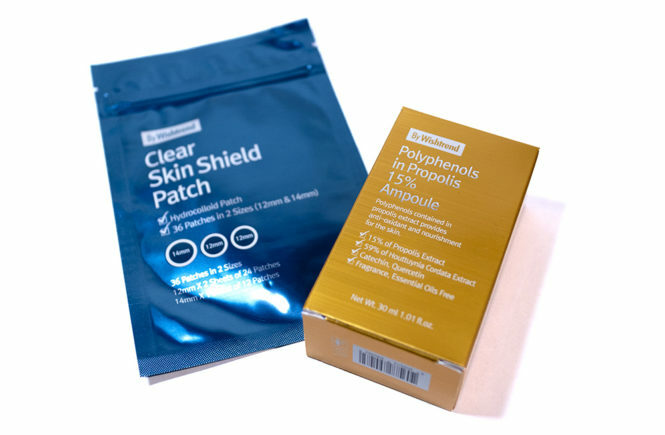 The use of the thread style gauze is, according to other websites, inspired by threading – a very painful but intense style of hair removal – so it helps to gather and lift the dead skin cells at a surface level without damaging skin. So your fingers fit into the sleeve of these pads and this allows or easy application. Personally, I think that this ‘hole’ should be a little bit bigger. I had some difficulty fitting three of my fingers, which meant that the top of the pad so sort flapped awkwardly while I was using it. I don’t think that I have particularly big hands either, so I imagine I’m not the only person with this problem. It’s rather minor though, but I hope they can improve on that for the next version. The first side that you should be using is the gauze size (pictured above). 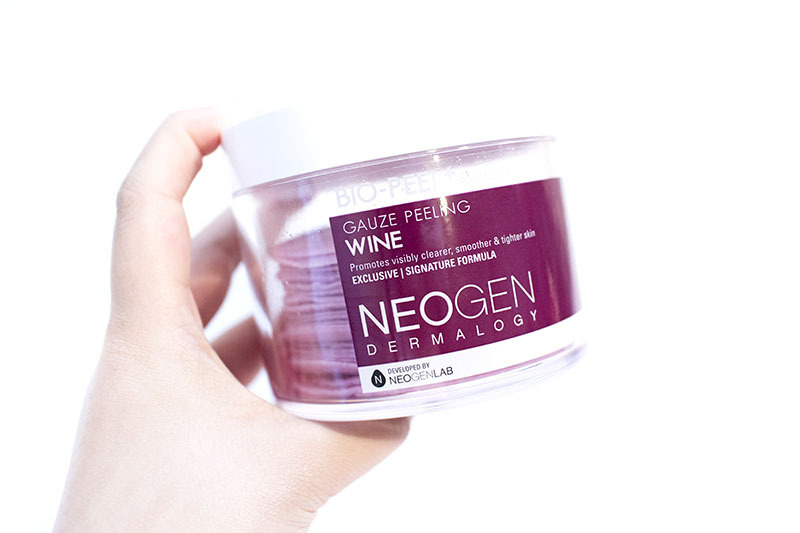 Starting from your neck and working up, you rub the face gently in circular motions which removes dead skin while also lightly applying the wine liquid. After using this, I actually saw the dead skin visibly on the pad – which is pretty basic proof that it works. I didn’t photograph it though because, well, it can be a bit gross. 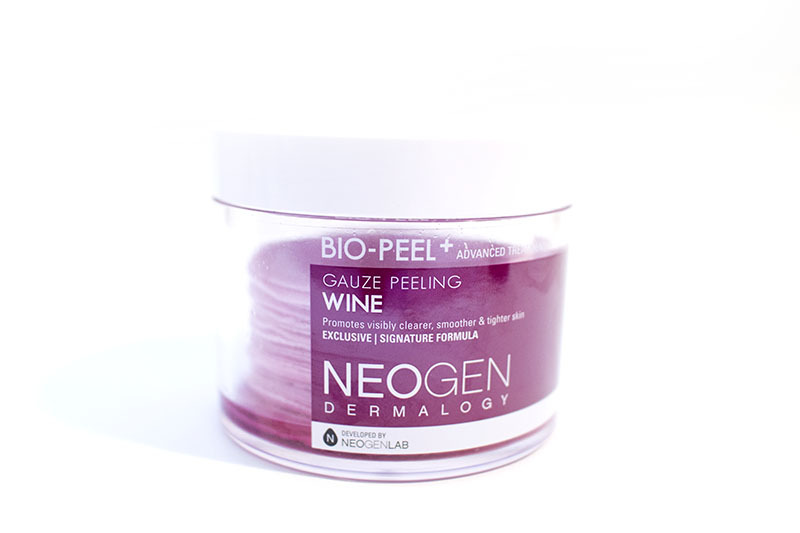 The manual exfoliation is pretty gentle and easy to control depending on how much pressure you decide to apply. 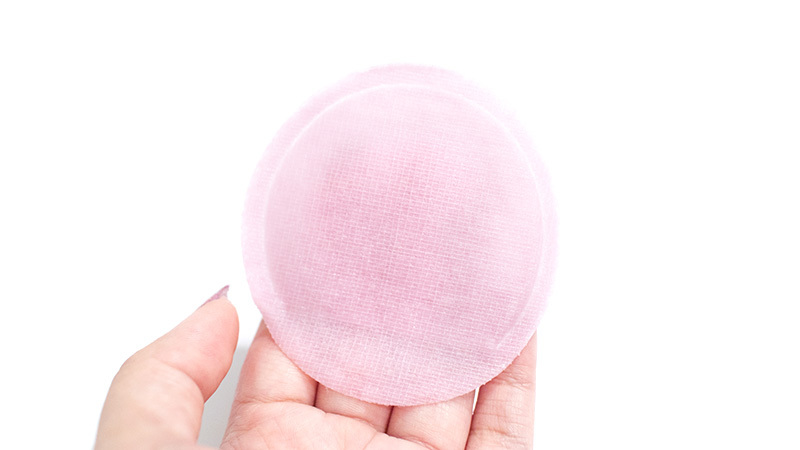 Afterwards, you flip the pad around to the embossed side (pictured below) and swipe it over your entire face, neck and so on to clean up the rest of the dead skin and to properly apply the wine liquid. 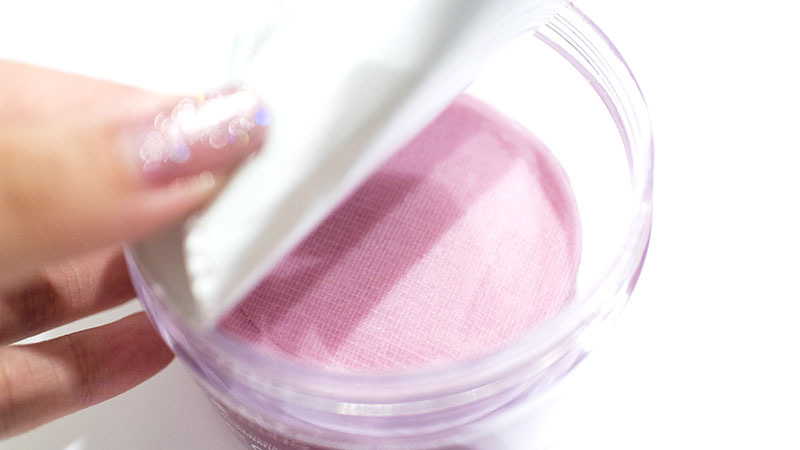 You can also pat this over your skin to help the product absorb more. The directions say to then wash it off with lukewarm water but, personally, I like to wait a few minutes first before doing so. This is to ensure that I’ve given my skin adequate time to take it in. I also choose to use cool or cold water when I wash my face, as I feel this helps to keep skin and pores tightened. The first time that I used this product, I had actually forgotten (or not known) to wash it off and I let it dry on my skin. This does leave you with a sticky, tacky layer which isn’t very nice and it makes it difficult to also gauge how smooth your skin is. Point: Remember to wash it! 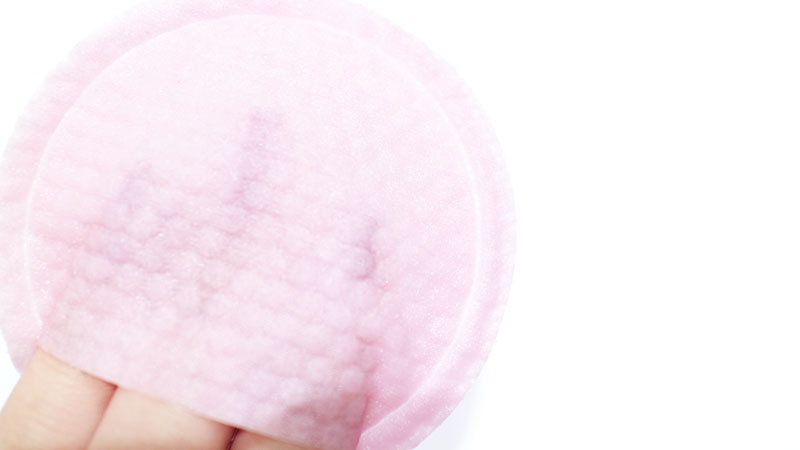 After using these pads, my skin is ridiculously smooth. I usually don’t exfoliate my neck so, the first time I touched my neck after this, I was amazed at how soft and smooth it was capable of feeling. The gentleness of the product also means that I have no issues with irritation either. I loved the scent and I saw an immediate brightening effect, which made my skin look glowing and amazing. I didn’t notice but when it comes to tightening but, then again, my skin is rather tight to begin with so I don’t have much to gauge it against. I personally love these peeling pads and, after finally trying it out for myself, I totally understand why so many people like it so much. 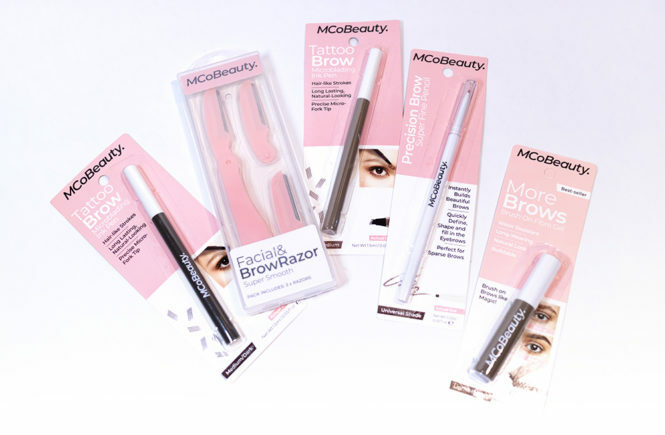 In fact, I’ve started to take out the Would I Repurchase question out of my reviews because I have so many new products that I have difficulty actually repurchasing stuff, but I’m going to say right here that I absolutely would! 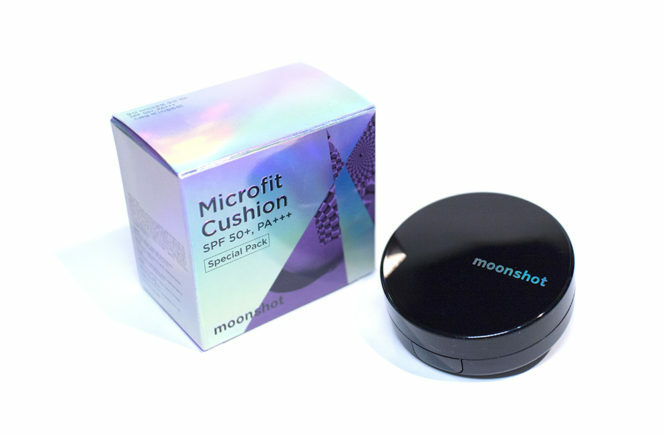 I’m not a big fan of the price, which averages out to just under a dollar a pad (a little bit more when I convert it to AUD) but I love the effectiveness of this product so much that I might just allow myself it. 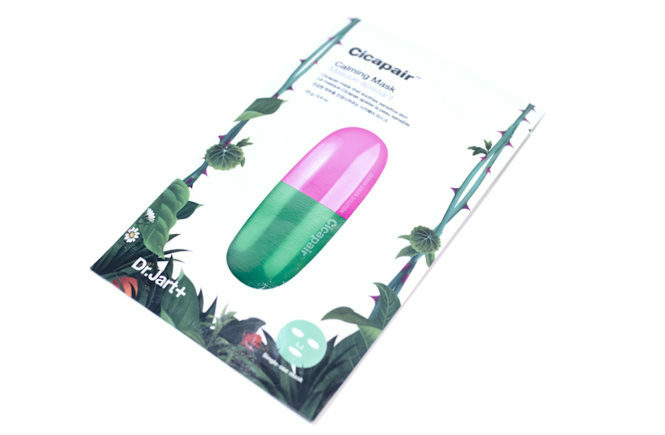 I also considered the possibility of cutting them in half like I do for the COSRX pimple pads, so I’m going to test that in my own time. It might be an issue because of the layering though? Overall, I love how this product makes me feel and, although I can’t visibly see long term benefits yet, the immediate results are enough to convince me. I’m looking forward to testing out the other variants – especially the lemon – and I’ll be recommending this to every human being I see. Absolutely! I know that it’s an expensive alternative to a standard scrub or peeling gel, but this is so effective that I think it’s worth it. It also smells so good that I really enjoy opening and using this. I think that this is especially suited to people who are a bit lazy with their skincare too, as other exfoliating products can be a bit messy and would definitely take longer. 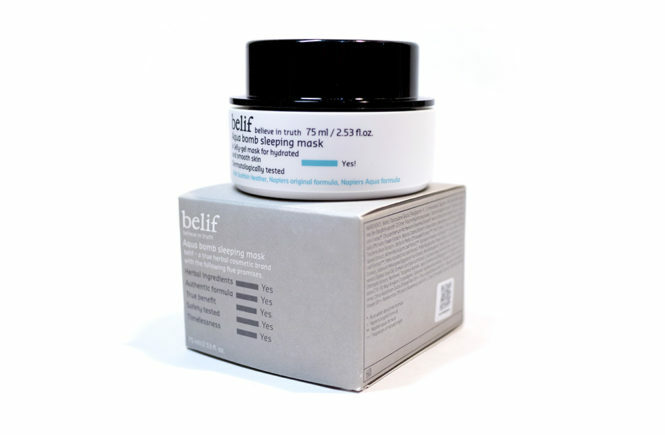 This would also be suited to most skin types as it’s quite gentle. I have heard that there are two ingredients in the product that might be allergy triggers though (including denatured alcohol) so check out the ingredient list first!